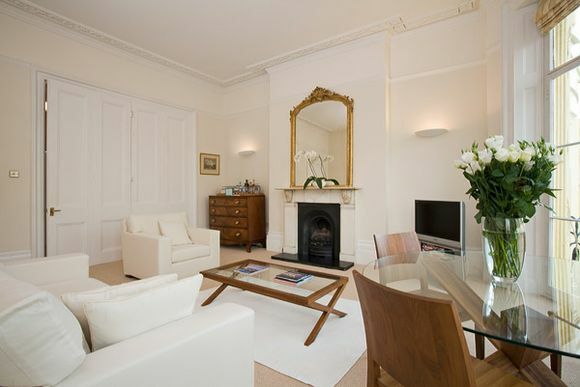 This is a large, elegant, spacious, one double bedroom Brighton apartment. It sleeps a maximum of four; it has a double sofa bed in the living room. The lounge is flooded with light & is a wonderful place to relax. It comes complete with the finest quality Regency period features including ornate ceiling and a large white marble fireplace. 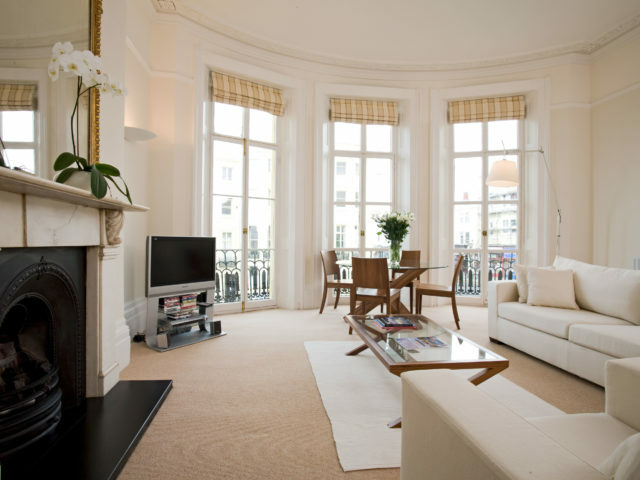 It was originally the main entertainment room in one of Hove’s finest Regency houses. 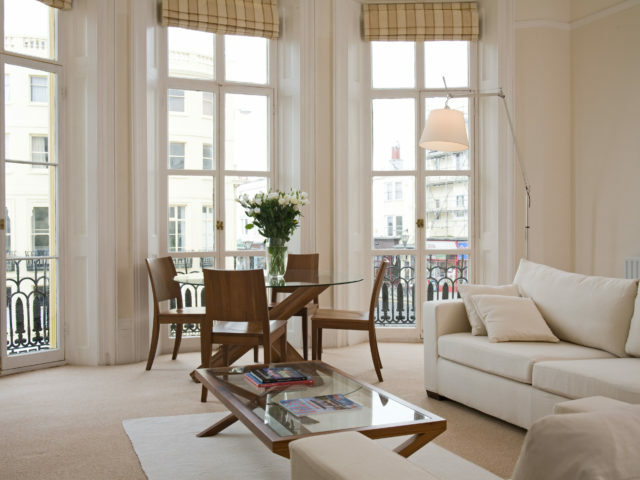 It has huge balcony doors which open onto Juliet balconies, from which you can see the sea and the restored gardens of the square. 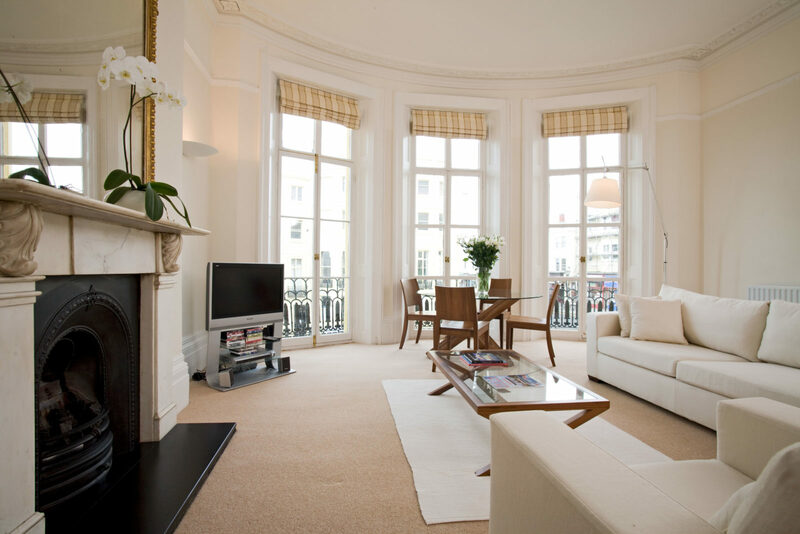 It is fully equipped with plasma TV, BBC freesat HDTV service, digital TV and a high quality entertainment system. 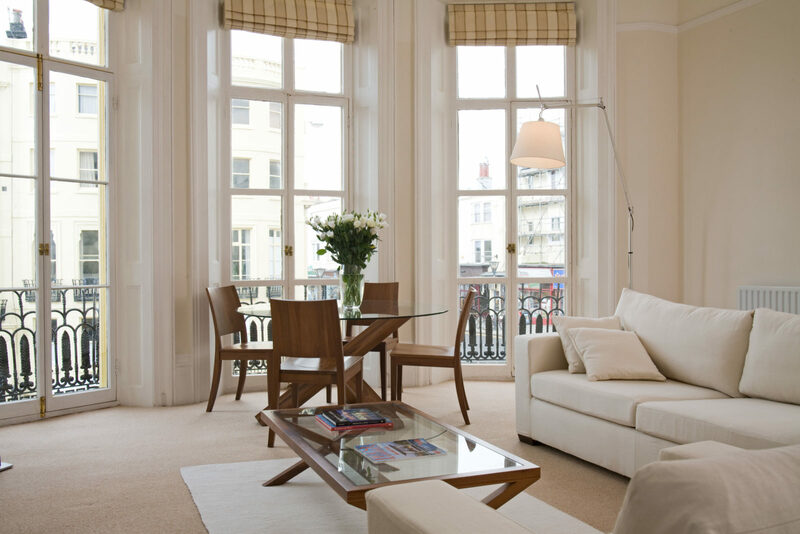 This apartment, as is standard in all our properties, has full free internet WiFi connectivity. 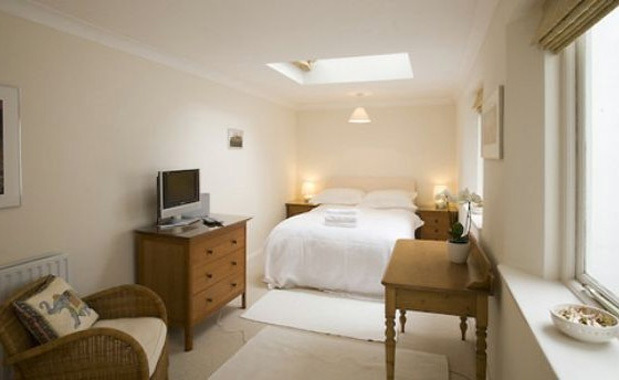 The bedroom is large with top quality Egyptian cotton bedding. The mattress is pocket sprung for comfort. If you have children in your group a free travel cot and highchair is available on request. The bathroom has a bath with overhead shower. High quality Egyptian cotton towels are provided for your use. The train station is about a mile away and both Brighton and Hove stations can be reached by foot. However the route from Brighton station is very hilly and with bags you may prefer to catch a taxi which costs £5. The bus service from the station is the number 7 and leaves approximately every 15 minutes, This costs just under £7 each way. From London trains leave from Victoria and London Bridge very frequently and take hour. Trains from Gatwick take 35 minutes and are also very frequent.